A regulatory change in New Zealand has opened the doors to hemp as food in the island nation. “Hempseeds are safe to eat and nutritious,” Bryan Wilson, head of New Zealand Food Safety, said in the announcement about the changes that now allow the sale of hempseed foods. The new guidance is being embraced by hemp growers. 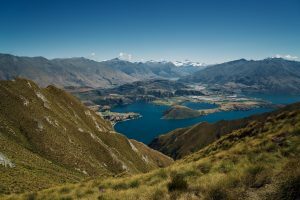 “This is a significant opportunity for the industrial hemp sector in New Zealand,” Manu Caddie, CEO of Hikurangi Cannabis Company, told Hemp Industry Daily. Hikurangi Cannabis Company is a social enterprise that has been growing hemp for three years on the east coast of New Zealand. “A number of companies have been waiting for many years to be able to commercialize novel products they have been developing for global consumers,” he said. To provide clarity to the industry, the government issued guides describing what’s allowed to be used as hemp food, the rules that need to be met and how to label products. “Although hempseeds can now be sold as food, hemp production continues to be regulated to ensure that illegal, high-THC cannabis is not produced,” Wilson said. Seeds must be sourced from low-THC cannabis with less than 1% THC content in the leaves or flowers. Only the seeds may be used as food; hemp flowers and leaves are not permitted. Seeds for retail sale must be hulled and made nonviable. Cannabinoids can only be present naturally in or on the seeds, with a maximum THC limit of 5 milligrams per kilogram. Growing, possession and trade of whole seeds require a license from the Ministry of Health. The amounts of THC and CBD in the final products is also limited. For all products, the CBD content is limited to 75 milligrams per kilogram – which means that the typical CBD products sold as nutritional supplements in many European countries, for example, are prohibited as food. THC is limited to 10 milligrams per kilogram for oils, 0.2 milligrams per kilogram for beverages, and 5 milligrams per kilogram for any other product. Food Safety Minister Damien O’Connor says that the local hemp industry anticipates that the changes will generate roughly $10 million-$20 million of export revenue within three to five years.